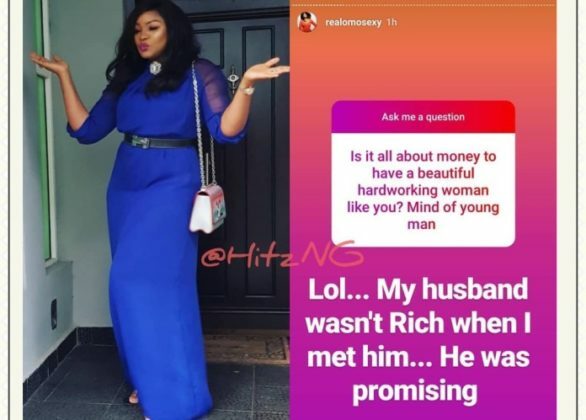 Famous actress, Omotola Jalade, has revealed that she didn’t meet her husband a rich man. 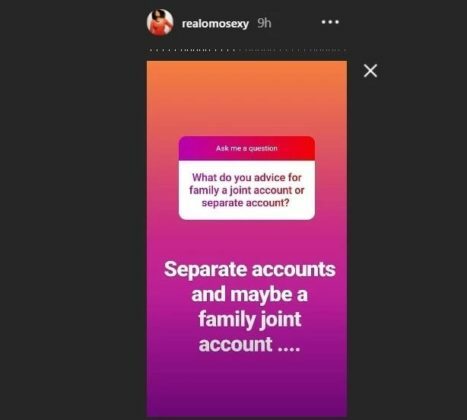 She said this while responding to questions that had to do with her personal life, career, family amongst other things on social media. 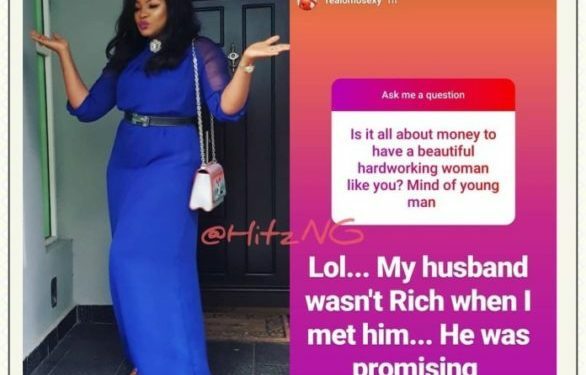 When asked if getting married to her husband was about the riches when they met more than 22-years-ago, the mother of four answered that he wasn’t rich, but rather he had prospects. 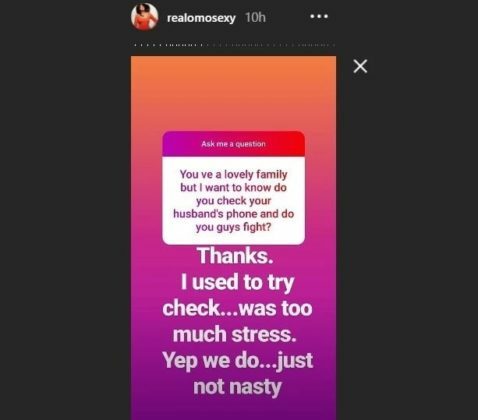 When asked if she goes through her husband’s phone, she responded that at some point, she used to try and check her husband’s phone but it became too stressful.